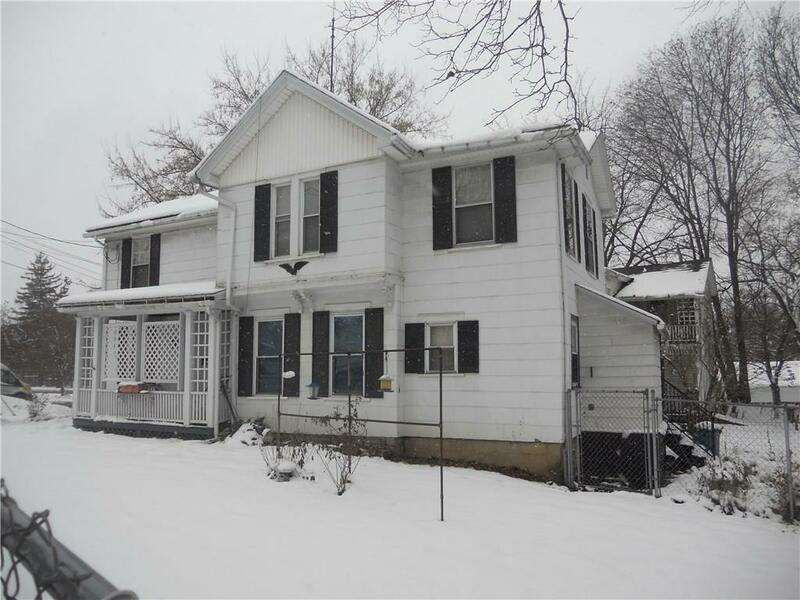 This home is great for an owner occupant or investor. Apt 1 consists of 2 bedrooms (1 up, 1 down), eat in kitchen, formal dining room and living room. Apt 2 is an upper, 1 bedroom apartment. There's hardwood floors, some newer windows, furnishings included in apt.2, fenced in yard, porch and more! Directions To Property: Seymour St To South On Holley St....go To Very End. Front Of Home Faces The Arterial.